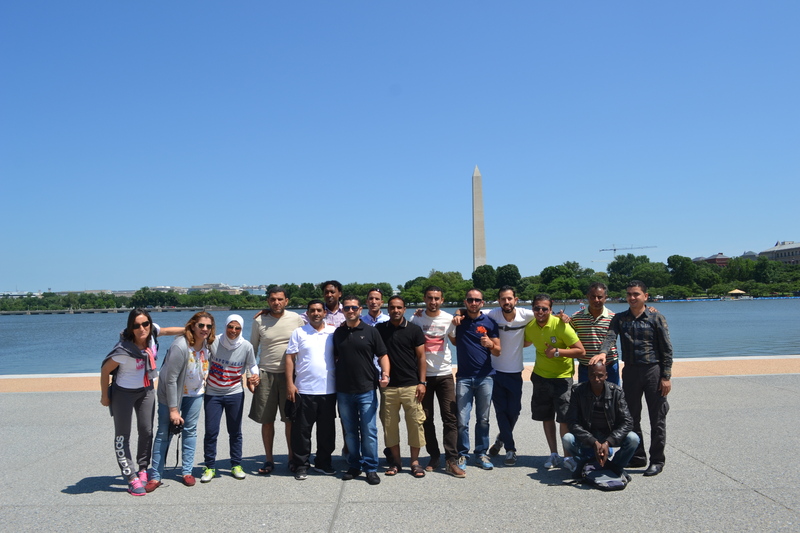 The group went on a DC tour visiting the famous landmarks including the Washington Monument while learning about the history of the nation’s capital. Athletes from Egypt and Libya go one on one during a drill. 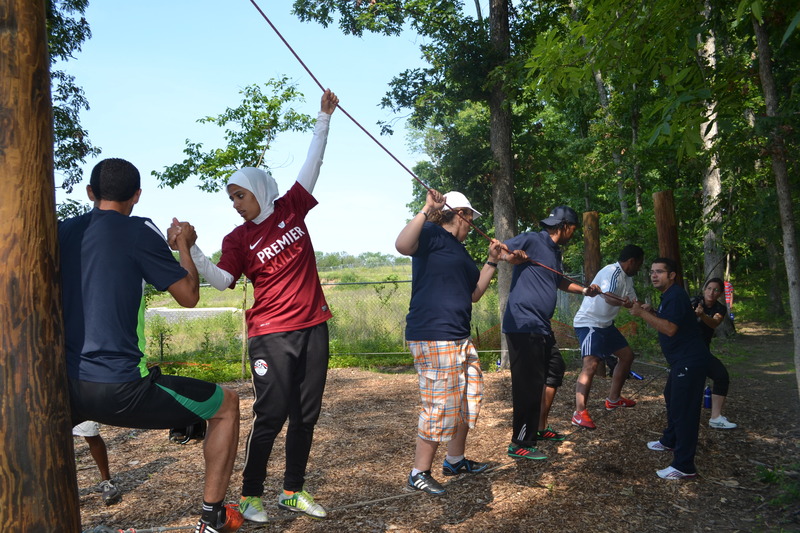 NEA participants worked together to accomplish different challenges at The Edge ropes course. 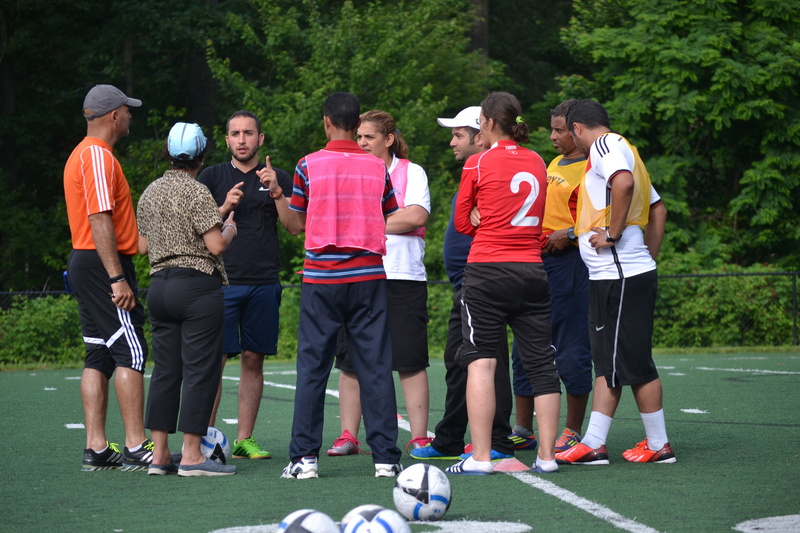 The coaches learned about medical prevention and treatment strategies specific to soccer injuries. 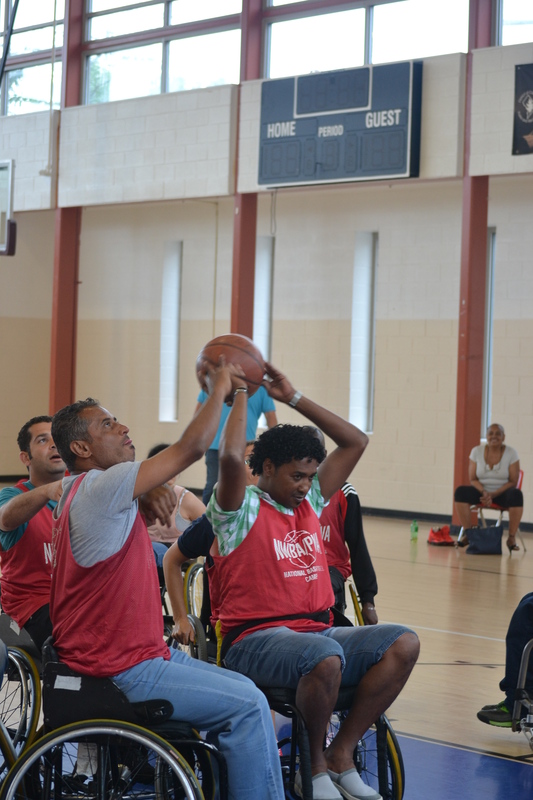 The group tries a new sport, wheelchair basketball, and furthers their teamwork skills at the same time. To kick off the World Cup in Brazil the NEA soccer coaches visit RFK stadium, home of DC United, to watch the opening game. The coaches come together to get an explanation of new drills and conditioning methods they could implement with their athletes back home. 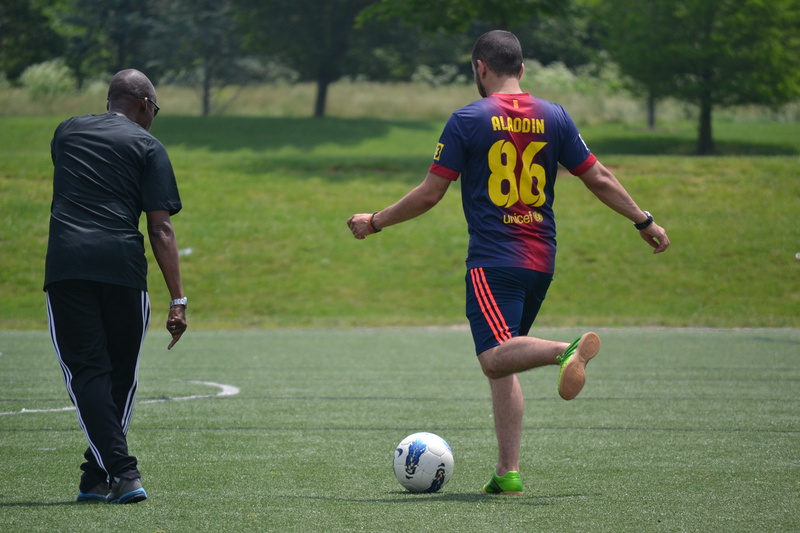 Some of the coaches share their excitement and love of soccer together during a clinic. U.S coach/trainer works with a NEA coach on a passing drill. NEA coaches volunteer their time at the Special Olympic Games. 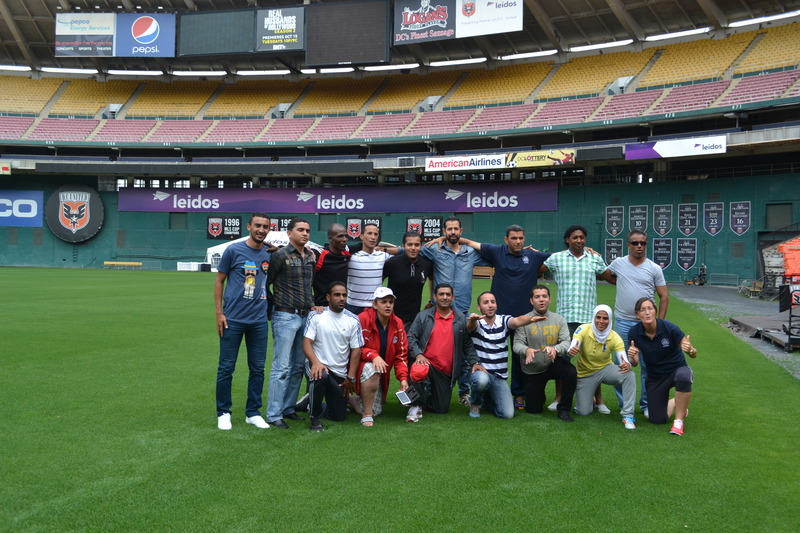 Organized alongside the excitement of the 2014 World Cup in Brazil Sports Diplomacy hosted a Sports Visitor soccer program for coaches from Libya, Tunisia, Egypt, and Yemen. 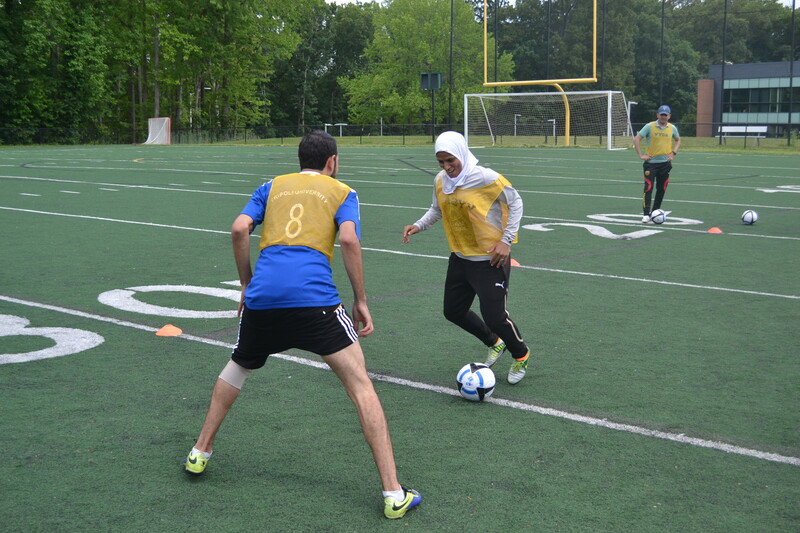 The 16 coaches spent time in DC, Virginia, and Maryland engaging in soccer-related activities that ranged from drill clinics to injury prevention sessions. They attended a DC United game as well as watched the opening game of the World Cup at DC United’s home stadium, RFK Stadium. 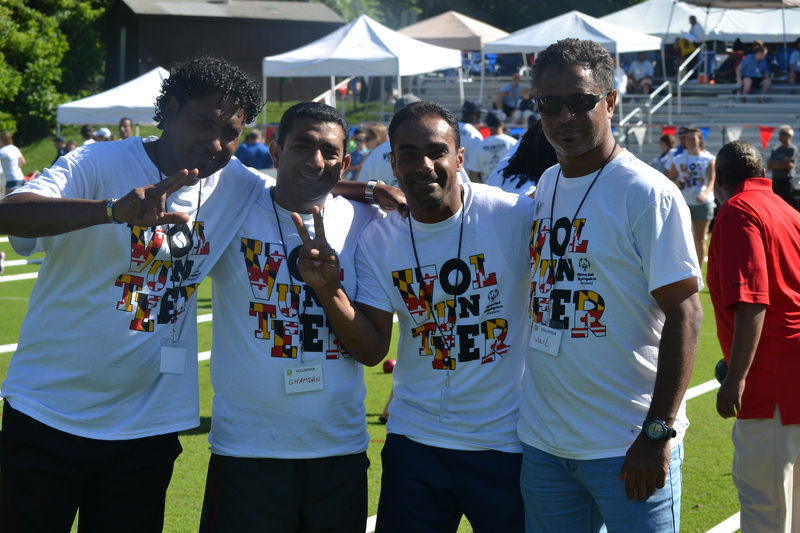 In addition, the coaches spent some time volunteering at the Special Olympic Games in Maryland. They also visited different sports focused nonprofits in the DC area that created dialogue in ways the visitors as coaches can mentor and guide their young athletes and further diplomacy. 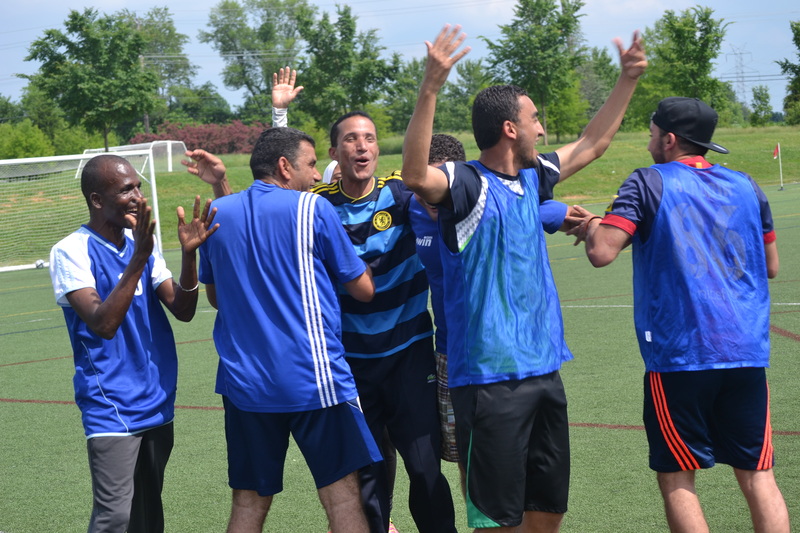 By engaging Near Eastern Affairs soccer coaches, the program worked to break down barriers and promote youth empowerment, and encourage positive leadership.